Set 44 -- The Kieninger KSU 36, 100cm movement set -- Images of Dials & Pendulums. 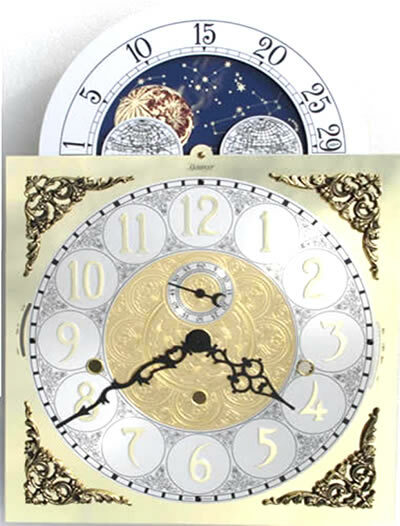 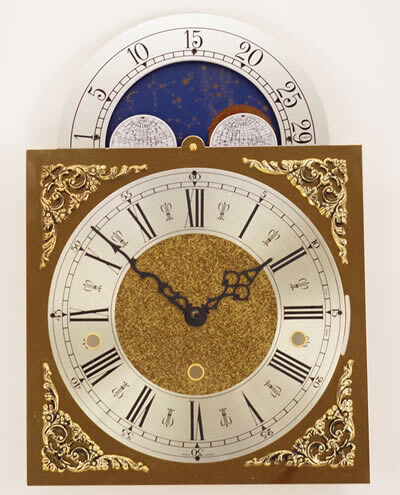 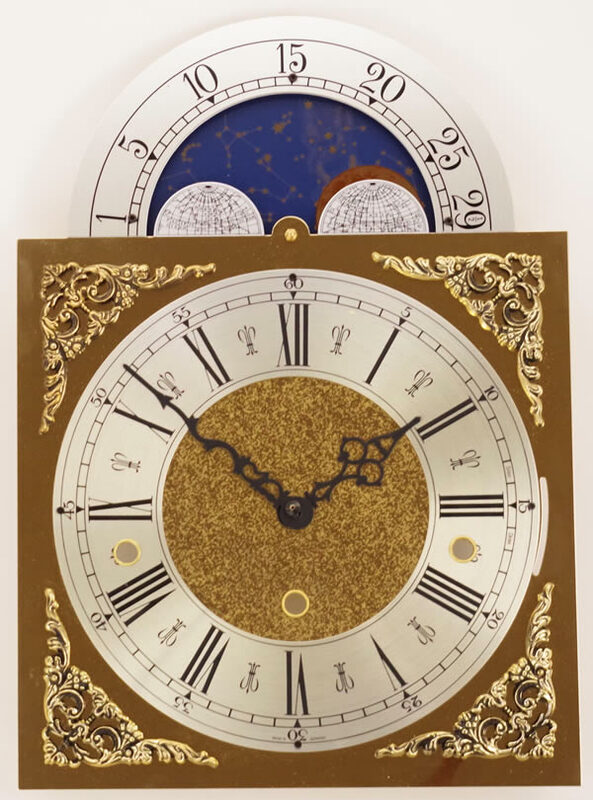 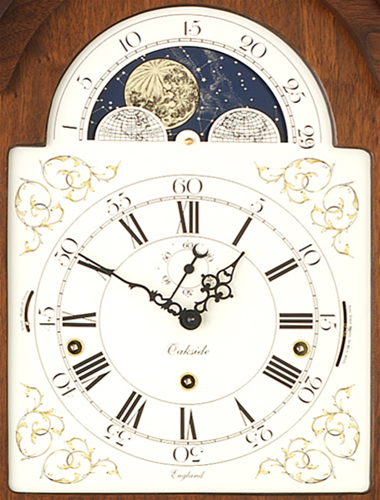 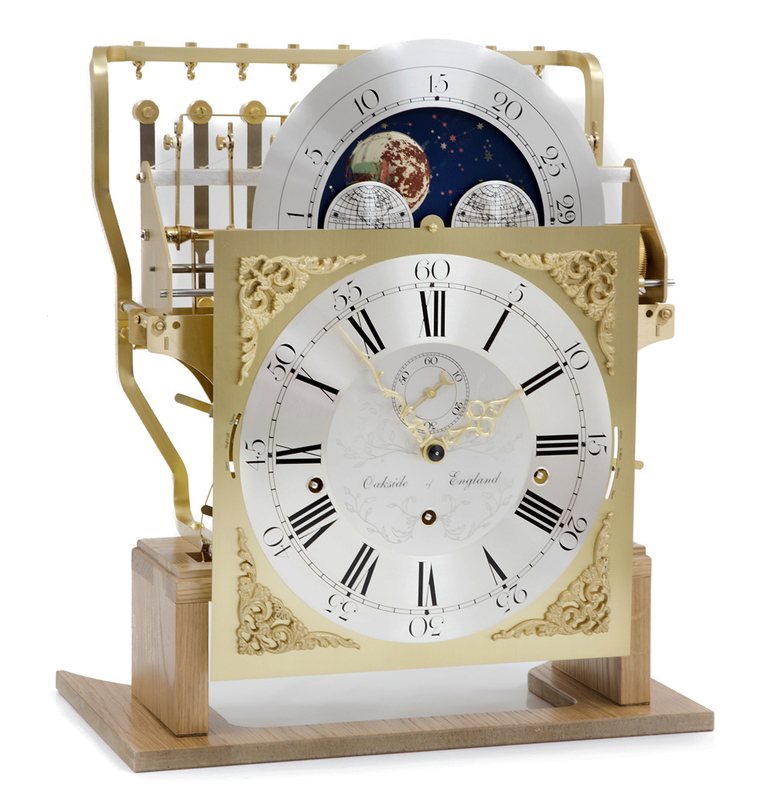 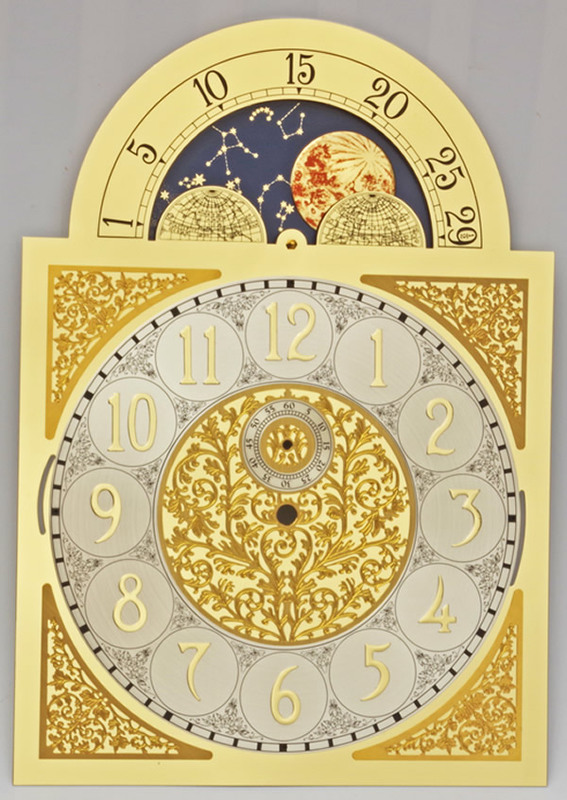 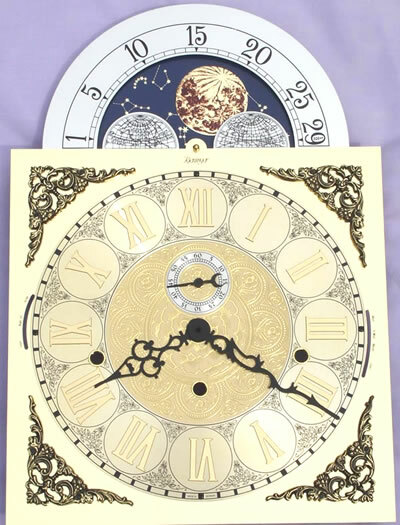 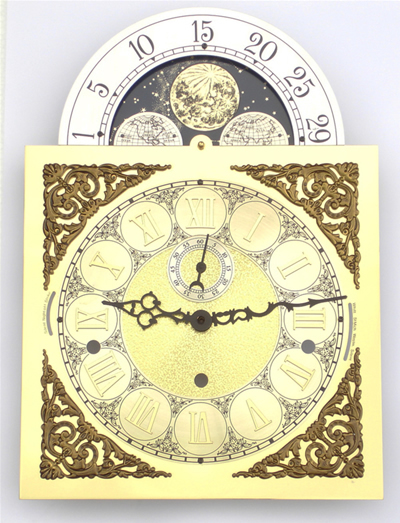 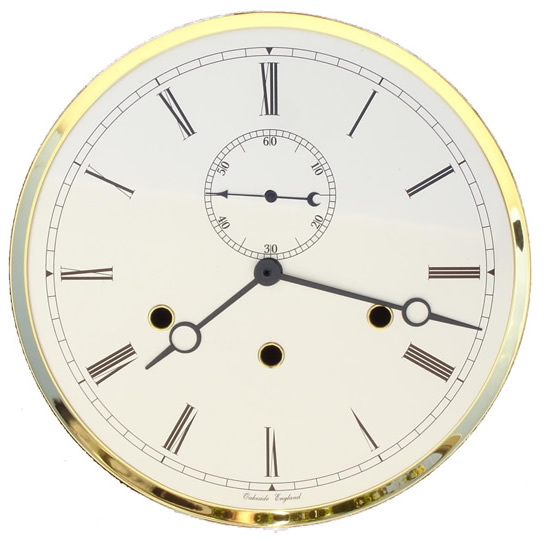 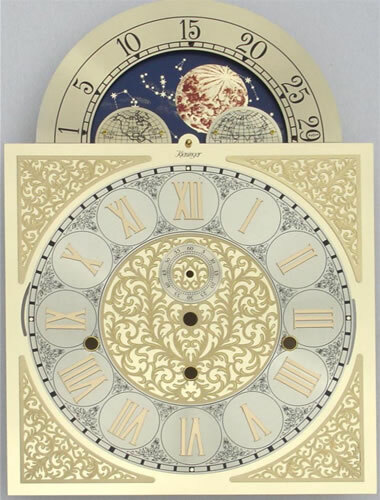 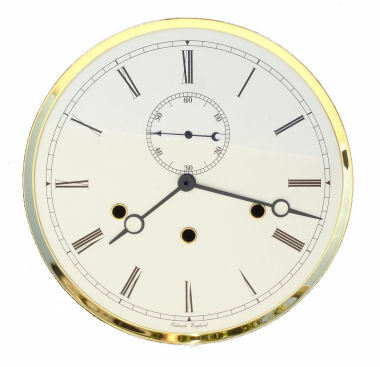 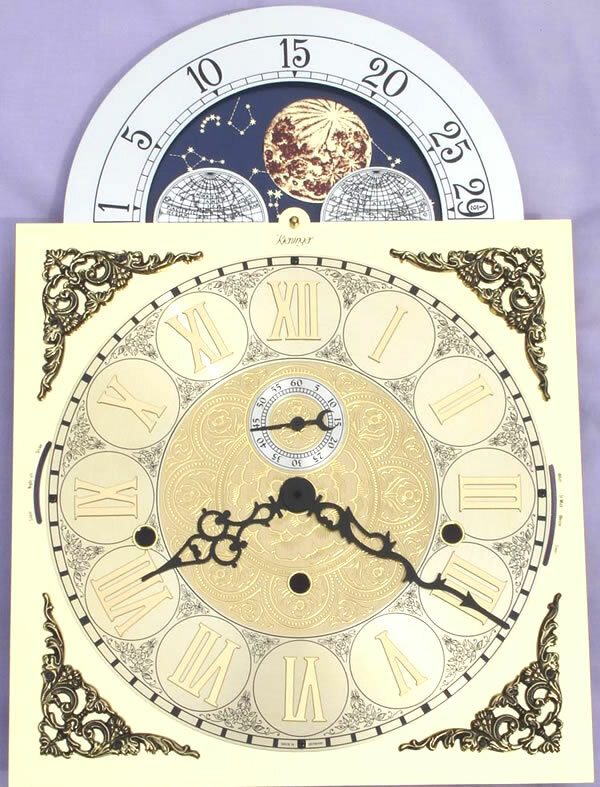 Enlarge Dial 070 -- Oakside Specially created 1750s solid brass Moon Phase dial (including hands) , 280 x 395mm with traditional, black Roman & Arabic painted numerals on a Silver Plated Chapter ring, a silver plated centre disk decorated with etched designs and a subsidiary seconds dial , four cast brass corner Spandrels. 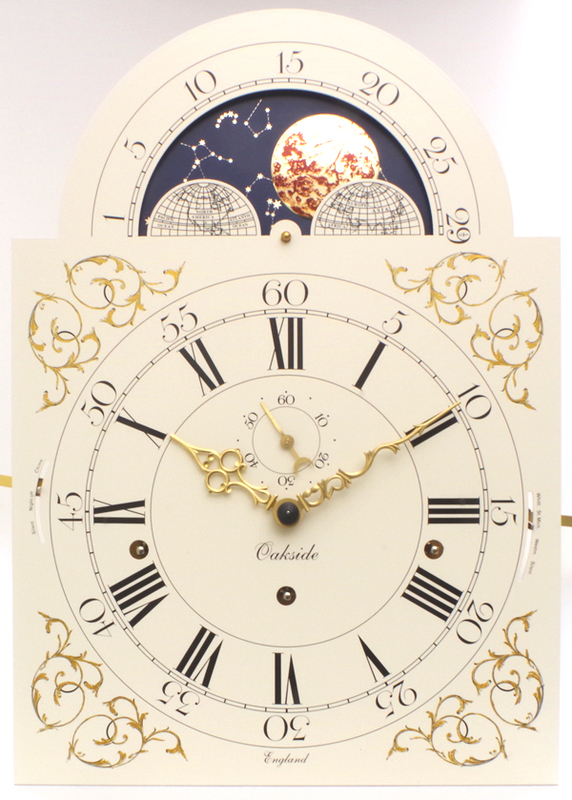 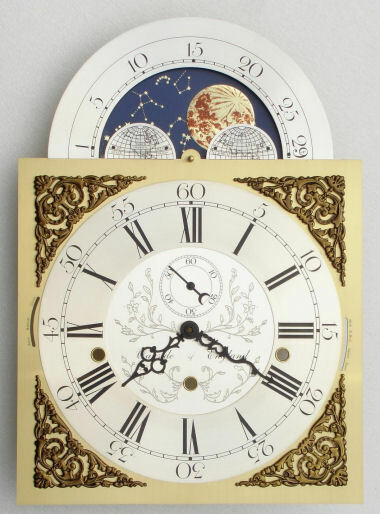 The moon phase Arch and the Continents are also Silver plated with black numerals. 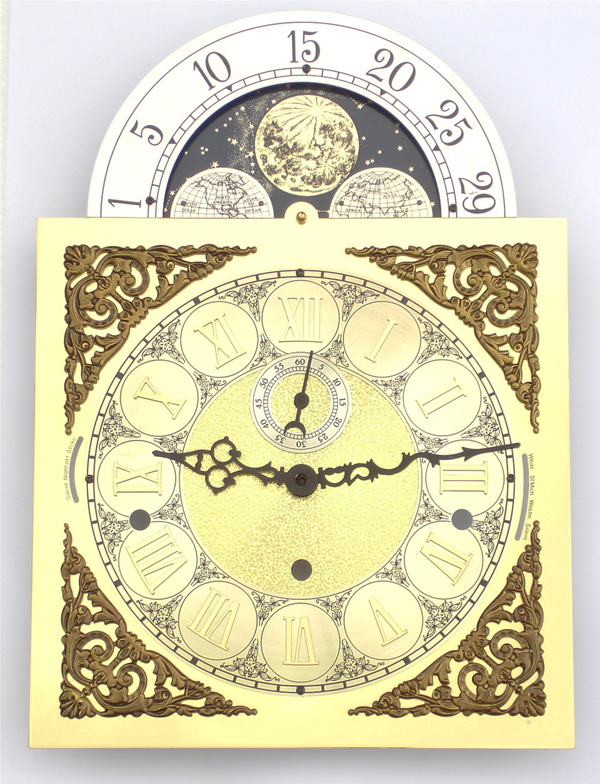 We also include a set of Serpentine hands as shown. 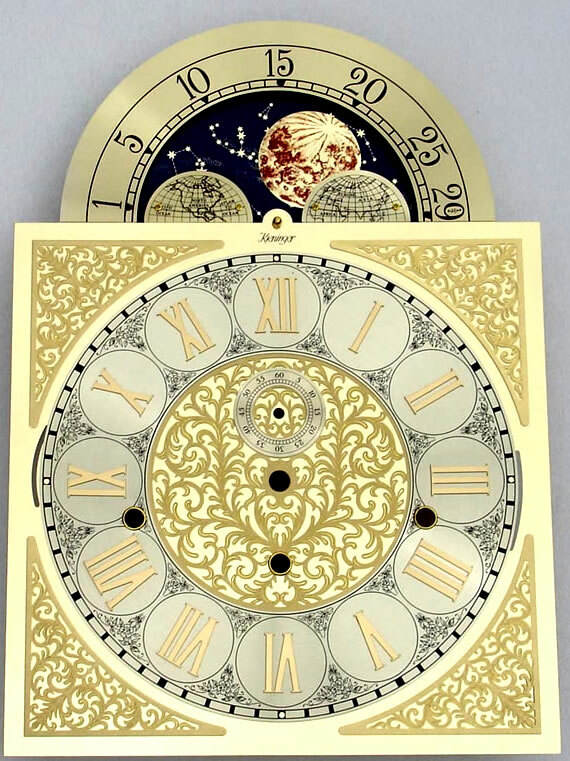 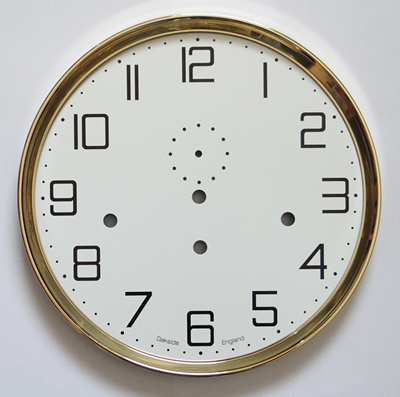 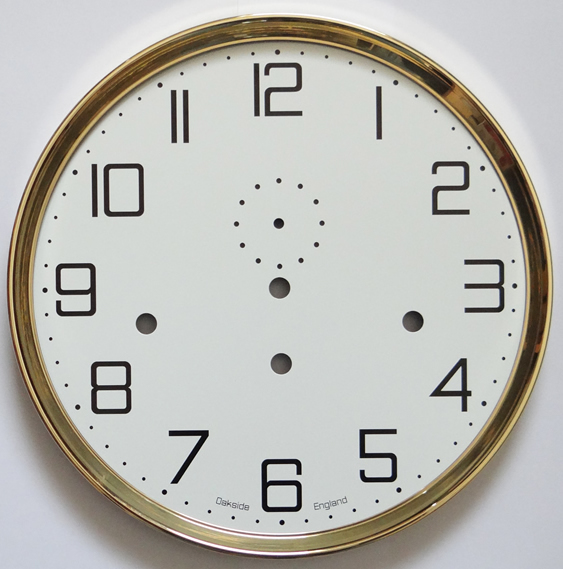 Includes a false plate to attach the dial to the movement.